I get the catalogs in the mail, I browse the site often, but… confession: I’ve never gone through with a purchase. Ballard Designs (and Pottery Barn) are my go-to sites for knock off design inspiration. As much as I love it, it’s not exactly in the student-family budget! Shelley from House of Smith’s made these amazing knock-off Ballard shelves and I’m kind of obsessed with them. She does the most amazing decorating on her shelves! Check out her Valentine’s display last year! OBSESSED! Now, I won’t promise that I can even come close to her mad skills but I HAD to have those shelves! I did mine a little different than hers so here’s what I did! 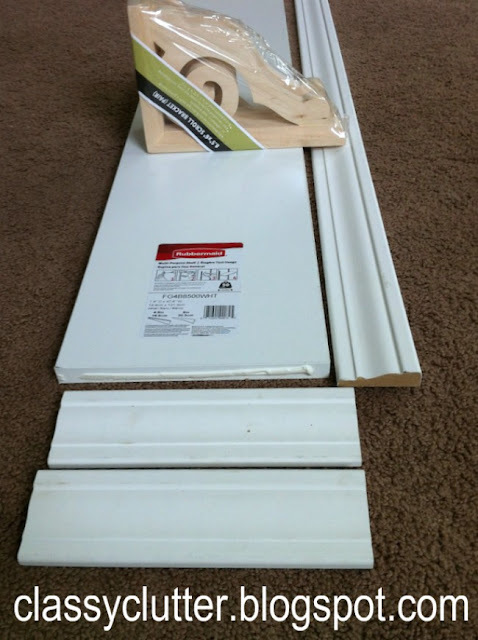 8″x 36″ MDF board – Home Depot has these pre cut in the shelving isle. 8″ x 48″ MDF board – also pre cut. Glue your trim on the sides of your shelf. Use finishing nails to nail them in place. 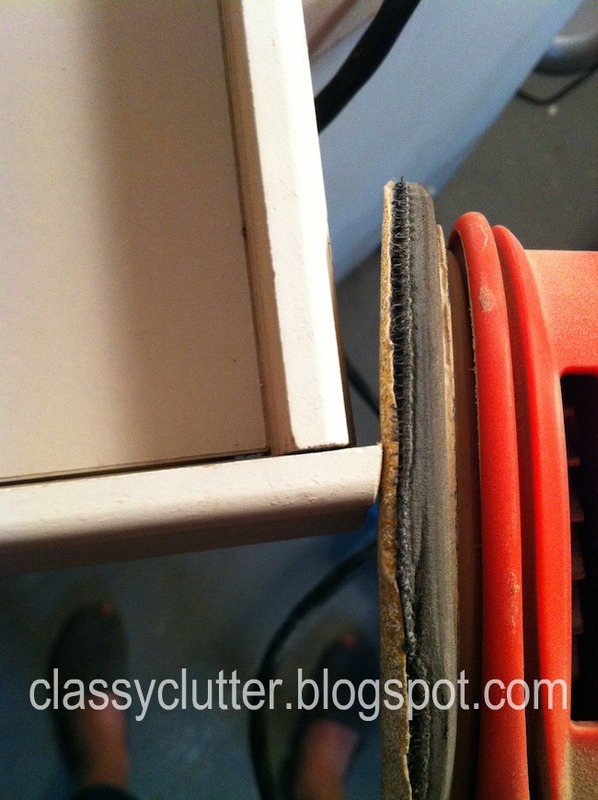 Now you may be wondering about mitered corners and make it all flush on the sides. Well, I absolutely 100% despise doing mitered corners. My hubby was at school and I was too impatient really excited to get them done so… I did a really super-unprofessional-ghetto-jimmy-style way of making it flush. 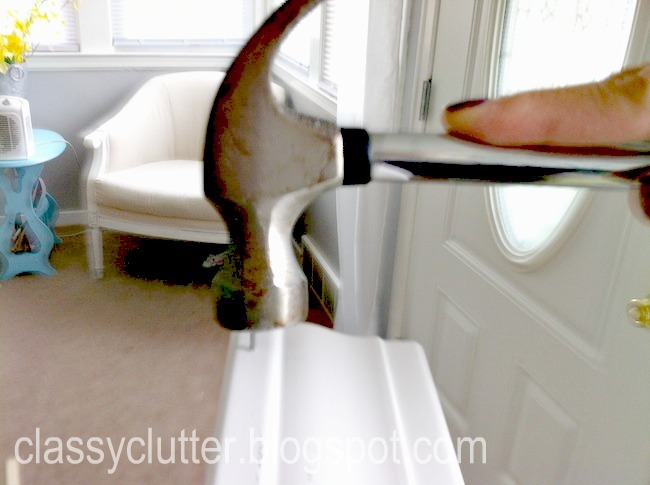 Enter… my palm sander! Bahaha!! I totally just sanded the edges and used paintable caulk to fill in the gaps. Next, I painted the entire shelf and corbels and hung it up! Oh, and guess what?? No one can tell one bit that I totally cheated on the corners! 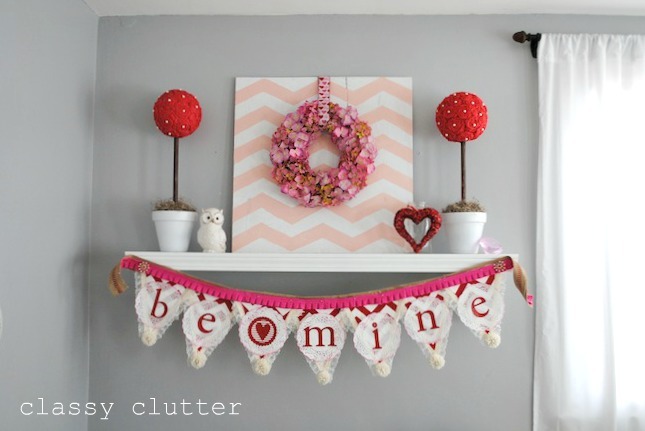 See my Valentine’s mantel post here! I only have one of the shelves hung right now but I made a 4′ and a 3′ shelf. If you don’t have a mantel, you have GOT to make this! PS…. we have decided that we are going to start hosting a weekly linky party!! AHHH!!! I am so excited/totally nervous about it! We’d LOVE if you came by to link up! Our first party will be Saturday, February 11th! ADORABLE! This is definitely my favorite V-day mantel so far. You did such a great job! The mantel is beautiful! Fabulous! I agree with Kendall! 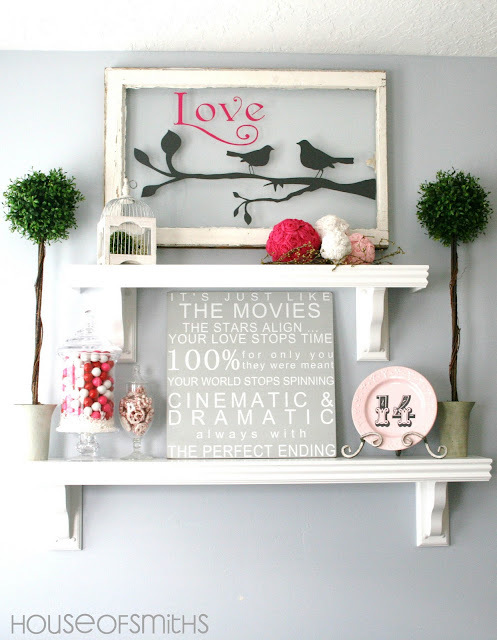 This is my favorite Valentine mantel! I love it! finally!!! love it thanks my next project! Too cute! 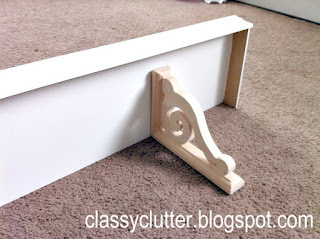 We have a floating shelf above my TV, and I think I need to do something like this on it! I absolutely love this and hope to see what you do with it for Paddy’s Day!! Would love if you’d post it on my linky party Destination: Inspiration! 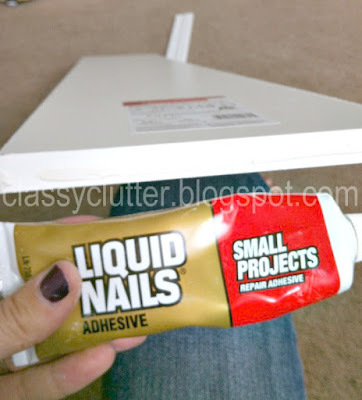 Love your blog and am putting things together for your new linky party too!